Andries and Janine Louw bought the Blitsgids in 2015 from Mauveen Moore, who started it in 2001, realizing a need for a comprehensive directory in Montagu. 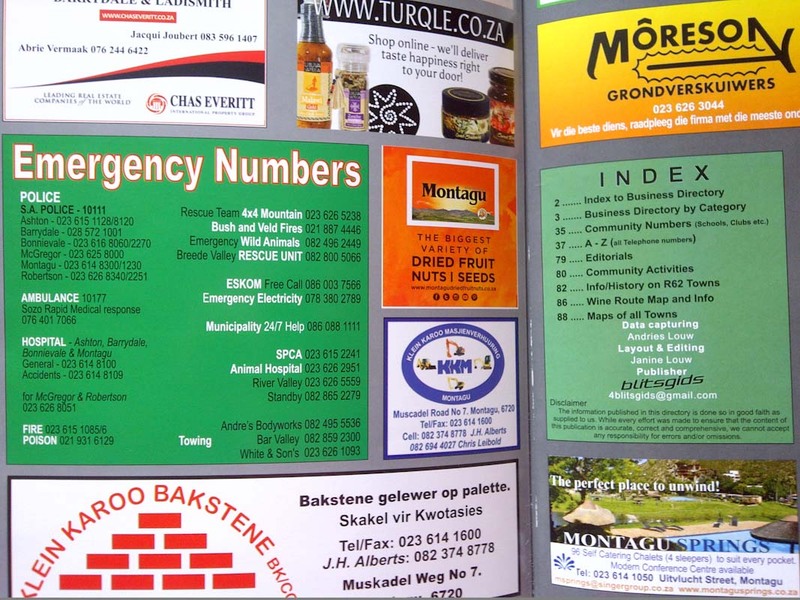 The R62 Blitsgids grew to covering the six towns of Barrydale, Montagu, Ashton, Bonnievale, McGregor and Robertson, including emergency numbers, general info on the towns, detailed maps and businesses numbers. Last year we changed the face and some content of this handy directory. 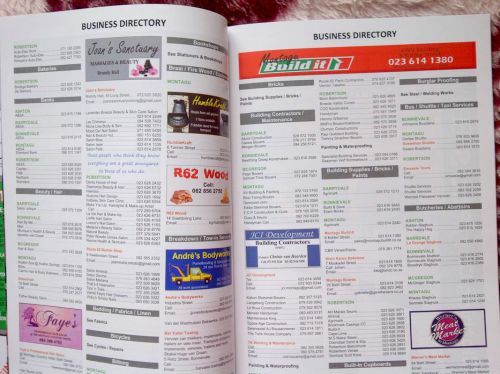 The sleek, glossy page "magazine-look" now also includes a detailed Business section (containing ALL - over 1500 - businesses), Community pages and Useful Community numbers. This year the Blitsgids will generate between R50 000 and R60 000 for our community. Since the few hundred in 2014, printing has gone up to 3000 books in 2016. For FREE! Your R20 donation goes to schools and charities. 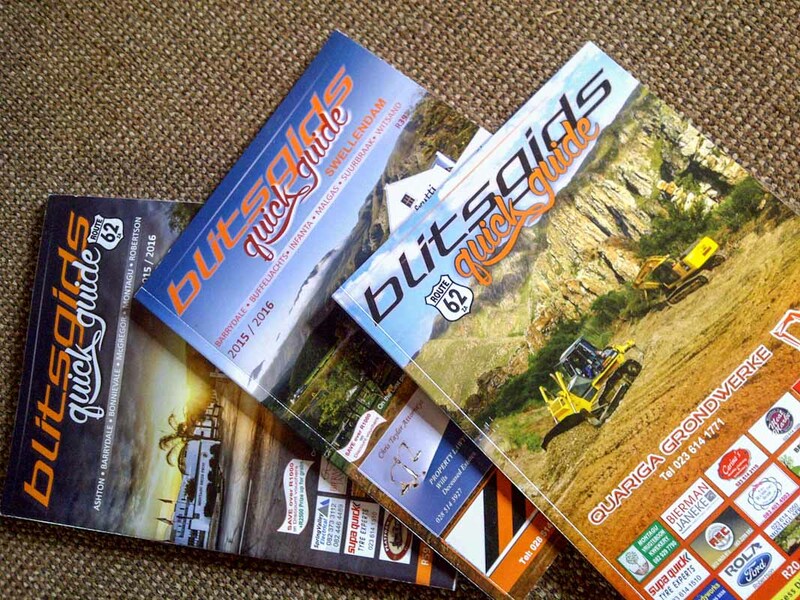 Please get your Blitsgids from The Ashbury and Montagu Primary schools and Helpende Handjies. Other distributers in Montagu are Curtain Design, Die Boord, The Boere Bistro and The Print shop. 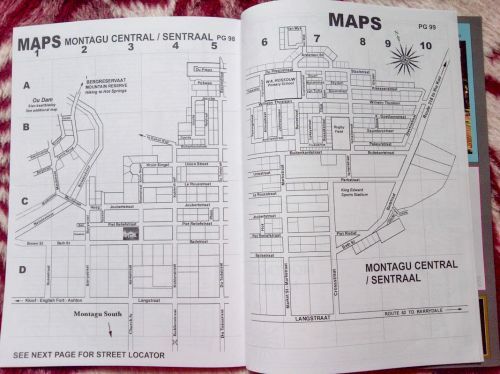 We are currently busy with a Montagu Map, where 20 000 free copies will reach tourists from Oudshoorn to Cape Town. 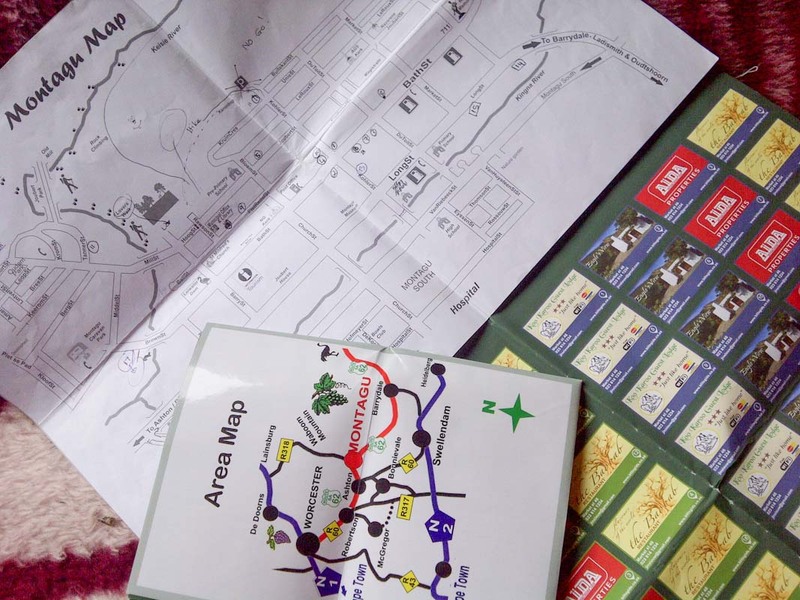 Hopefully the plotted Historical walk, colourful ads and detailed map will encourage them to spend more time (and money) in our awesome town! There is a desperate need for our community to keep in touch, especially those without Facebook. So the future will also see the launch of a weekly Digital mail (called the BNN: Blits News Network), where thousands of households will receive a short mail containing info on anything from the police/events/ads/lifts and a business shout out. Please contribute to this initiative and become part of your community. We have recently created a Facebook page: https://www.facebook.com/Blitsgids-1607989272824664/ News on the Blitsgids, distribution, community- and business info and shout-outs etc. Please like and add us to get this going. 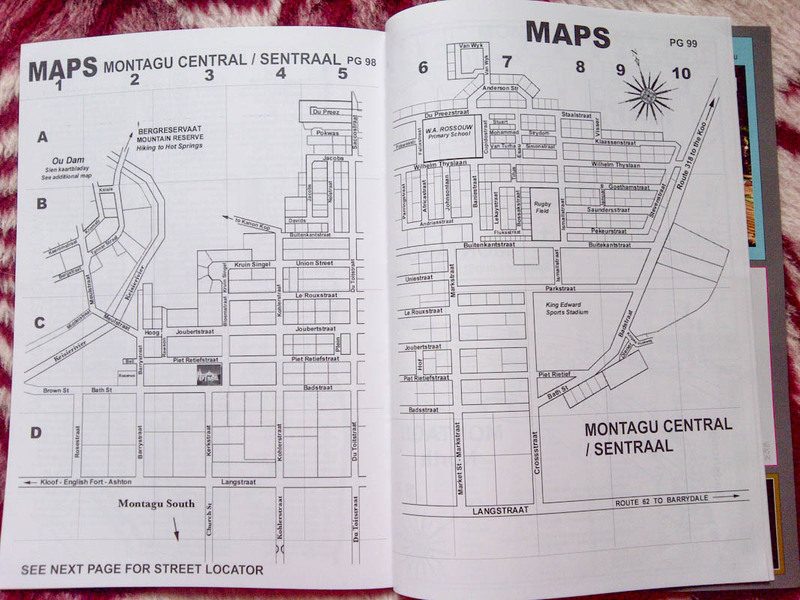 If you want to add or have wrong info in the Blitsgids, want to be on the Montagu Map (limited space left) or part of the BNN, please email us.